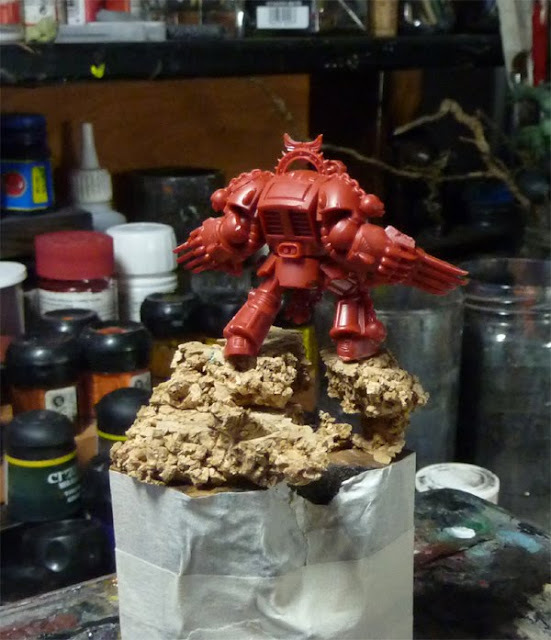 seems to be big basing time at the moment - i can explain that. As Raffa and me will be on another Painting Class soon to Hamburg/Germany i am preparing a lot of stuff for it after i did recieve a lot of great Feedback from the last painting class. So when i prepare and do experiments, why not sharing them, even they are the so called common basics sometimes - without basics there would be nothing in the end. I thought about making another snow base again in a rocky landscape, a simple but nice base. 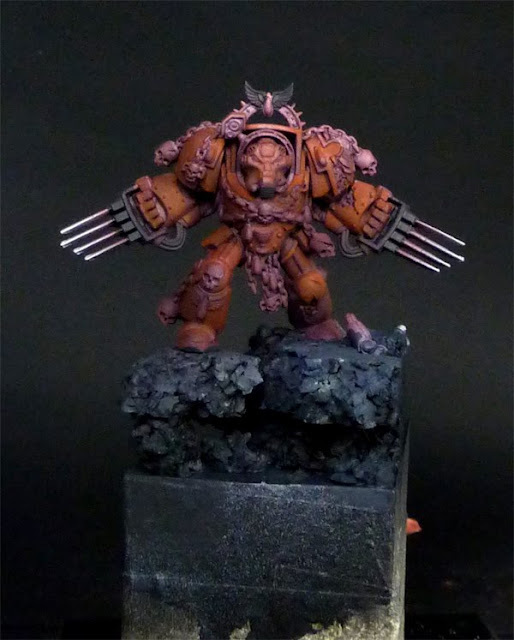 Miniature is another Space Hulk Terminator, who just will be a Blood Angel Terminator fighting against Necrons with his two "Blink! Blink! Chink! Chink! Blink!-Energy Claws". 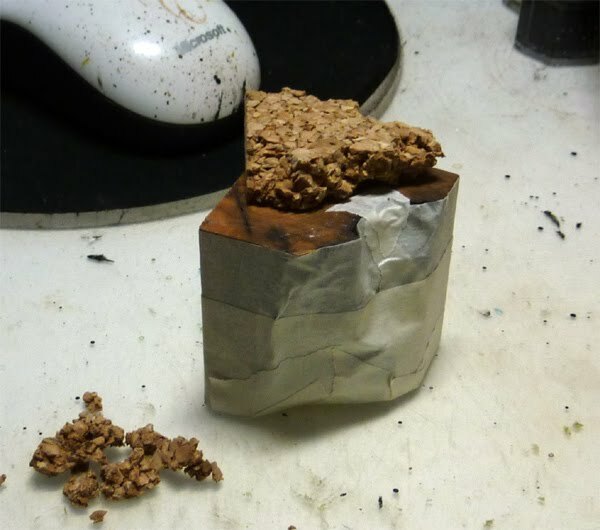 I have used Super Glue to bring the cork parts up to the socket. 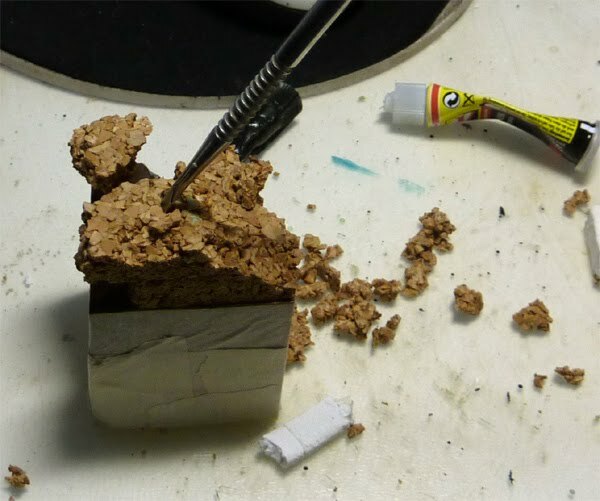 And i did start to rip some areas off the cork to make it look like more natural randomly stone - used my fingers for this. 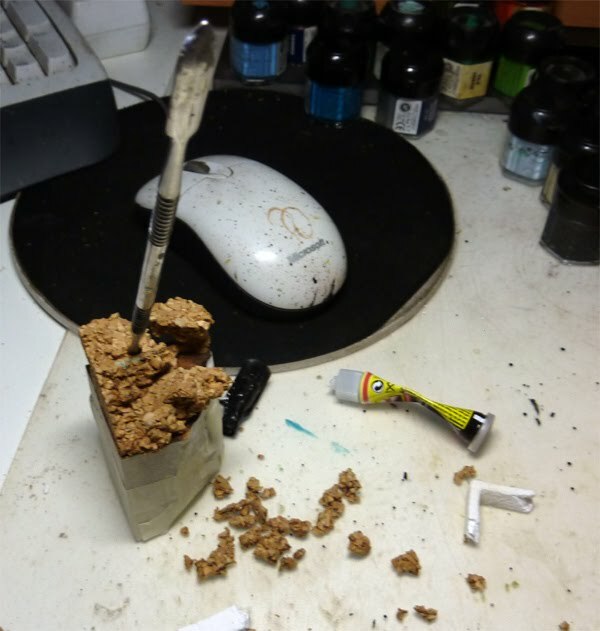 After ripping a lot of and glueing some parts on top of eachother, i took a sculpting tool with a knife-like tip and ripped of some single cork areas on the upper areas to brake them up and make them more intresting in the end, when painted. After everything was done i did prepare the Model and fixed it with a metal pin and super glue at the base in the pose and direction i did choose out of a feeling from the stomach, even the plan was in the different direction first, haha. 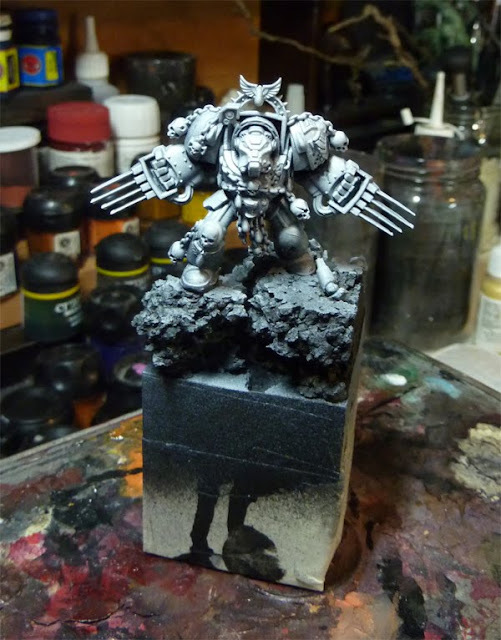 As i will add snow to the base, unclean areas are not that important to me at the moment. In the end there is still the option of ripping something off or adding snow at this place. Now start off painting if you like. Snow comes final later on. 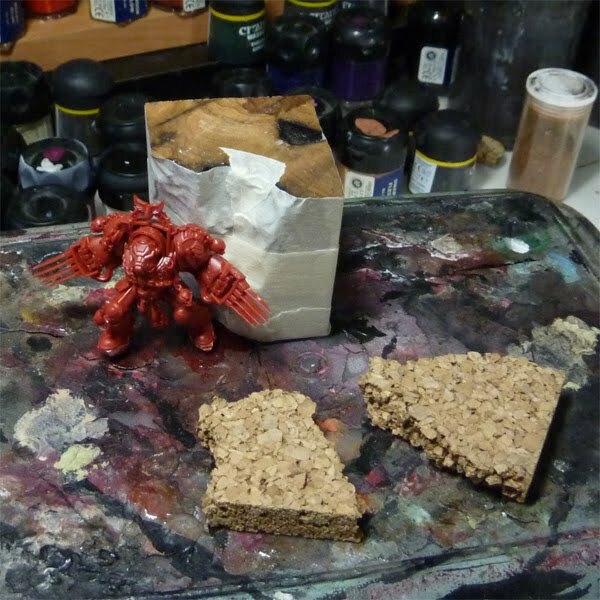 Again a short Tutorial - but it seems i like those ones at the moment a lot. Thank you for share this great ideas with all the peolpe.